Buying gifts for the home bartender is fun and easy, but what if the recipient of your generosity doesn’t drink alcohol? Day 3 of Wanderlush’s four-day holiday gift guide features some delicious booze-free beverage gifts that are sure to please everyone from Grandma to your boss to your best friend (and holiday party designated driver). Enjoy! Nothing warms you up more on a cold winter day than a hot cup of tea. And with Big T NYC, you aren’t getting just any old tea. Big T NYC combines the highest quality, 100 percent organic, single-origin whole-leaf teas into deliciously sophisticated one-of-a-kind blends. Give the gift of flavor and luxury with this exclusive Couture Collection tea gift pack. It includes three loose-leaf teas—Tell-Tale Glow white tea, Unexpected Fling green tea, and Baby It’s Cold Outside black tea—an infuser, and a guide for making the perfect cup of tea. With Mocktails Brand’s line of non-alcoholic cocktails, you don’t have to sacrifice taste by sacrificing the alcohol. Made with the health-conscious consumer in mind, Mocktails contain no high-fructose corn syrup, preservatives or artificial flavors or colors, and they’re allergen-, gluten-, and BPA-free. Best of all, they come in a variety of fun flavors, including Karma Sucra Cosmopolitan, The Vida Loca Margarita, Sevilla Red Sangria, and Scottish Lemonade Whiskey Sour. Serve them chilled straight from their own shaker bottles or add your favorite spirit for a more traditional boozy drink. 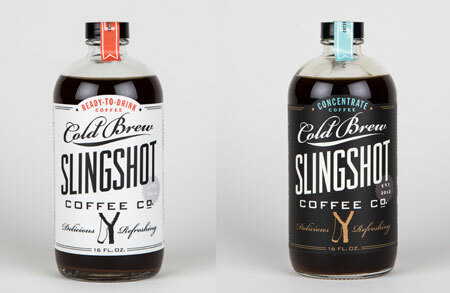 Mr. Wanderlush is a huge fan of cold-brewed coffee, and Slingshot offers one of the best. Hand-brewed and bottled in small batches using only two ingredients—quality, in-season, single-origin, organic coffee beans roasted by North Carolina roasters Counter Culture Coffee, and filtered tap water—Slingshot’s cold-brewed coffee is available in a 16-ounce concentrate (four servings) and a 16-ounce ready-to-drink version (two servings). Savor alone or add whiskey, vodka, or chocolate liqueur for a festive coffee tipple. Does someone on your gift list love wine but not the alcohol? 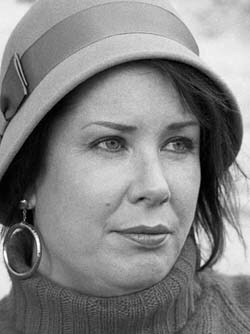 Give them V/No premium alcohol-removed wines. These aren’t just wine-flavored beverages. Made like traditional wines, with pressed and fermented fruit, V/No removes the alcohol prior to bottling through a process known as cold filtration. Less than 0.5 percent alcohol remains. 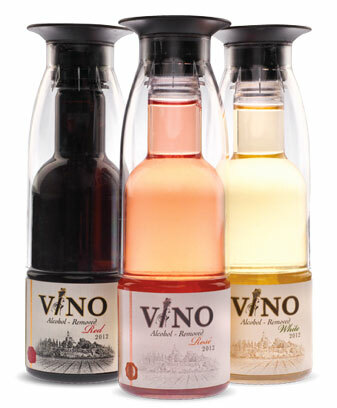 Individually packaged in single-serve bottles (that open to create a serving flute), V/No de-alcoholized wines are available in Red, White, and Rose. 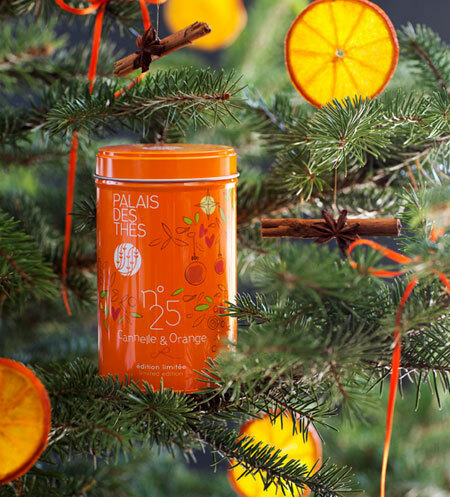 Parisian tea company, Palais des Thes, known for its premium all-natural teas, offers its 2014 holiday limited edition flavor: Thé N°25 Cannelle & Orange. This delicious brew, which combines green tea with cinnamon, orange peel, almond, ginger, lemon zest and vanilla pods, is the perfect pairing for those scrumptious holiday desserts. The N°25 Cannelle & Orange, along with the other N°25 holiday teas (black, green, white, and rooibos blend), is packaged in a gift-ready metal canister (3.5 ounces of whole-leaf loose tea). Enhance your diet with the pure goodness of nature’s best fruits and vegetables. 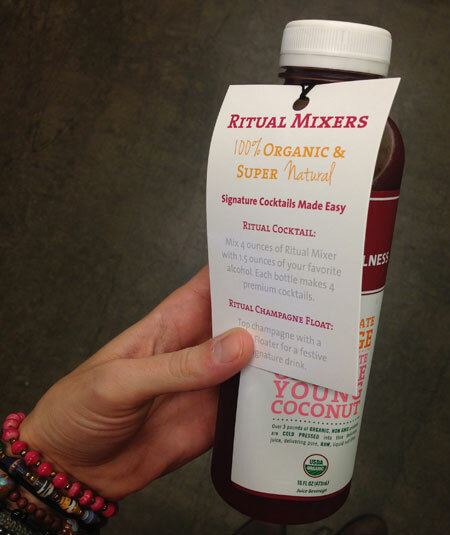 Each 16-ounce bottle of raw organic Ritual Juice is bursting with flavor and vitamins. Meant to be enjoyed on their own, Ritual Juices can also be paired with alcohol for unique, premium organic cocktails (special “mixer labels” are attached to the bottles). Try such bold flavors as Spicy Cucumber (with cucumber, lime, raw agave, and jalapeno), Pineapple Mint (with pineapple, young coconut, mint, and apple), Spicy Lemonade (with raw agave, lemon, and cayenne), or Almond Mylk (with almond, cinnamon, vanilla, and raw agave). Then there’s the Greens: Green Lemon, Sweet Green, and Green Ginger, featuring such healthy ingredients as kale, spinach, romaine, celery, cucumber, and parsley. Greens pack the equivalent of up to four pounds of veggies in each bottle.